Serving Alpharetta, Atlanta and all Georgia! Working construction is one of the most dangerous jobs in the country, but does it have to be? At Van Sant Law, we are committed to helping construction accident victims and their families to fully understand their case, to know all of their legal options, and to get the compensation they deserve. If you have been injured on a construction site, you owe it to yourself, your family, and your co-workers to investigate and take action. We are here to develop your case, discover who was at fault, and ultimately get justice under the law. According to the Centers for Disease Control and Prevention (CDC), construction workers in the United States experience the highest number of fatalities in all private sector industries. When it comes to the total number of non-fatal accidents in the workplace, about 9% of all injuries involved individuals working in the construction industry. Over 4% of all construction workers experience nonfatal injuries or illnesses on the job each year. Although construction site injuries are all too common, they don’t have to be. Many of these accidents could have and should have been prevented, either by the worker’s employee, the general contractor, the subcontractors, the property owner, the engineers, the architects, the equipment manufacturers, or others. If you have been injured in a construction accident in Georgia, it is absolutely vital that you understand what the root cause of the accident was and who was at fault. Our attorneys are here to help. Are You Paying for a Construction Accident That Wasn’t Your Fault? 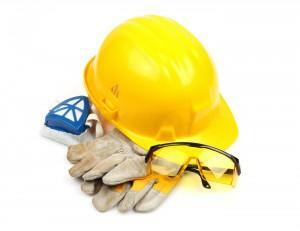 There are a wide range of short- and long-term consequences of construction-related accidents and injuries. You probably lost time at work, which means you also lost the wages that you and your family depend on. In some cases, injury victims are unable to work ever again or may need to learn a completely new trade due to a permanent injury or chronic pain. Mental anguish following a construction accident – which could include anxiety, depression, and post-traumatic stress disorder – can affect all aspects of your life, both at work and at home. While many of the above issues can’t easily be erased, they can be helped the following: ongoing medical treatment and rehabilitation, the payment of lost wages, therapy, and job training. If someone else was responsible for your accident and injury, they are also responsible for providing you with financial compensation so that you can get the assistance that you desperately need. It can be difficult for an injured worker to fight against a large construction company, an engineering firm, a property owner, or an equipment manufacturer – especially when he or she should be focusing on recovery and recuperation. At Van Sant Law, we have the experience and the knowledge to fight back for you. As former insurance defense attorneys, we are fully apprised of the strategies that insurance companies use to try to pay the minimum amount of damages that are due to a victim. We also know the common strategies that companies will use to shrug off fault: blaming the victim and denying responsibility. Are you ready to learn more about your case – including who was truly at fault and what your case might be worth? Speak with us today to get started: (404) 991-5950 or fill out our contact form and we will get in touch with you.